The second part of the 'Twinight Collection', the largest private porcelain collection in the world, will be sold at Lempertz on 6 April. 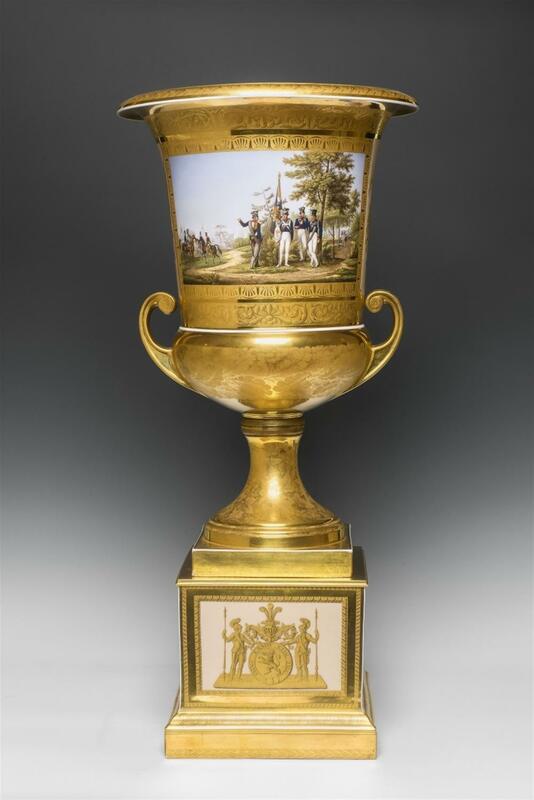 At the beginning of November 2018, the auction house Lempertz auctioned off the first part of the Twinight Collection. 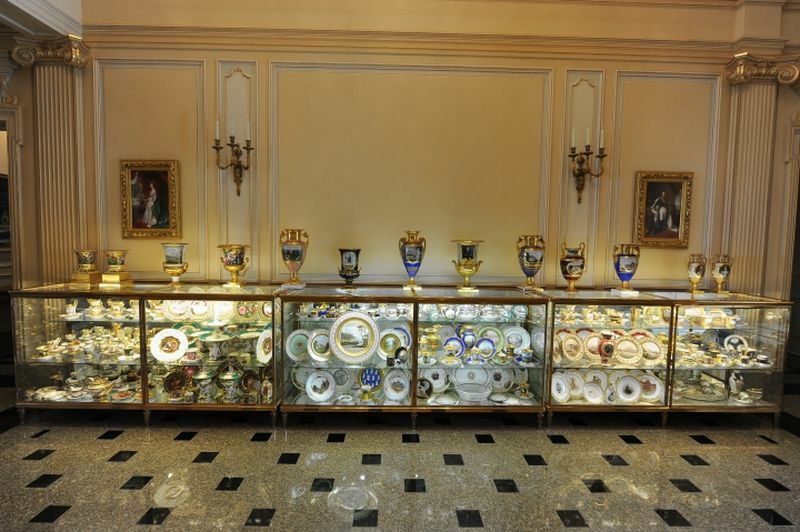 The prestigious collection, which has been exhibited at the Metropolitan Museum of Art, is considered the pinnacle of Prussian and European porcelain production from the early 19th century. 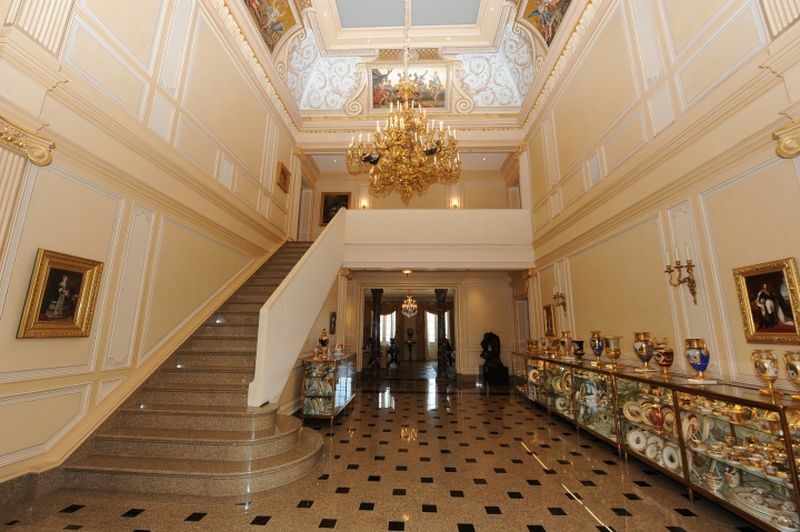 Once owned by American businessman Richard Baron Cohen and displayed in his sprawling Oyster Bay mansion, a replica of the Petit Trianon, the rest of the collection will be auctioned by Lempertz in Berlin on 6 April. 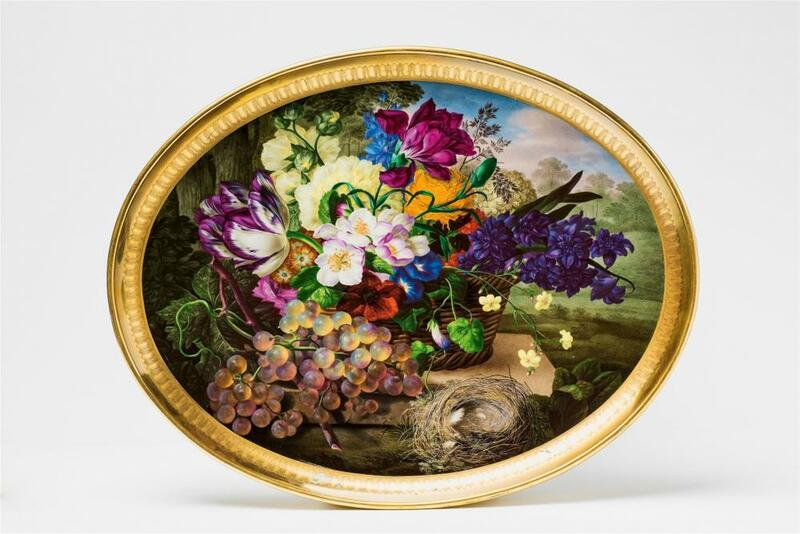 This oval porcelain tray from 1816 is decorated with a fine floral composition and comes from the imperial manufactory of Vienna. The piece bears the signature of Joseph Niggs, who worked for the manufactory for 43 years and specialised in flower painting. 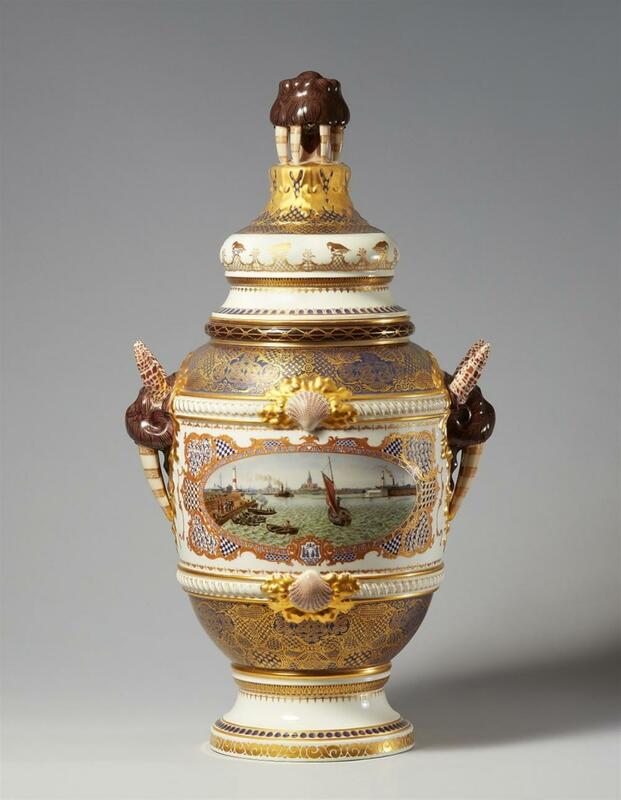 The collection includes an impressive number of vases from KPM Berlin (Berlin Royal Porcelain Factory), including a pair of 'Kratervasen' (crater vases) featuring Berlin landscapes, and a vase with similar ornamentation, decorated with a Prussian military scene and a view of the Blücher square in Wroclaw. The Berlin production also contains a 'Nuptial Vase', a vase decorated with reliefs resuming the scene of the Aldobrandini wedding. This remarkable work was part of the special order placed by Prince Frederick William I, and the service was used by the Order of the Golden Helmet (status of the Order of William of Hesse-Cassel). 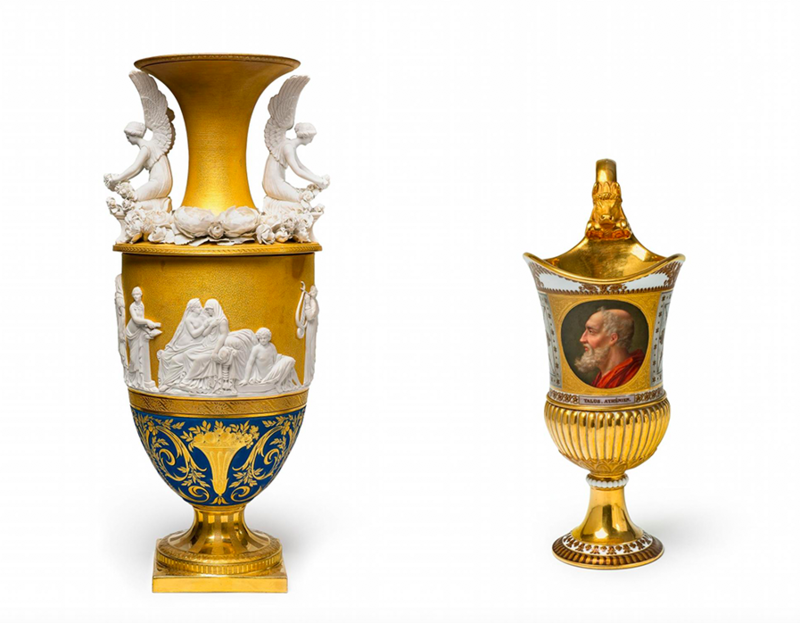 On the side of the Manufacture de Sèvres, there is a ewer decorated with the portrait of Thales, offered in 1861 to the King of Siam (now Thailand) as a diplomatic gift. The recipient, King Mongkut or Rama IV, is known to most through the movie The King and Me (1956), a film adaptation of the novel Anna and the King. 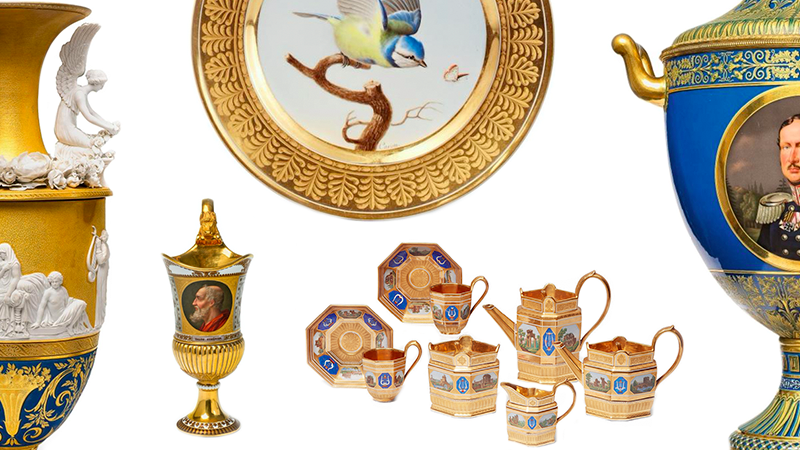 On the morning of 6 April, before the sale of the Twinight collection, a wide selection Prussian treasures will be offered to collectors. 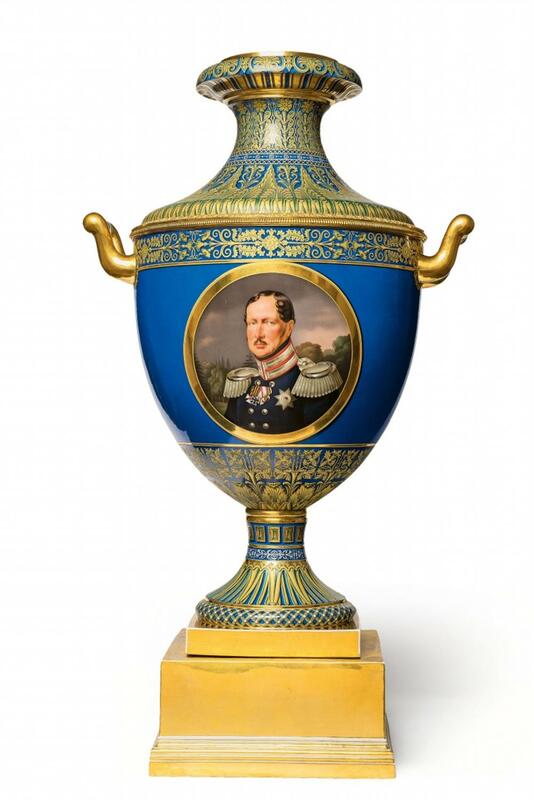 Among the 320 lots devoted to Prussian production, there is another royal gift: a vase depicting the portrait of the Prussian king Friedrich Wilhelm III, commissioned in 1842 by his son and successor Friedrich Wilhelm IV at KPM Berlin, then sent as a gift to King Ernst August I of Hanover. Executed between 1823 and 1832 by KPM Berlin, this service is adorned with micro-mosaic paintings of exceptional precision and will be offered for sale in its original case. The auction house experts gathered the wonders from a private Rhine collection and a private collection from Lower Saxony. 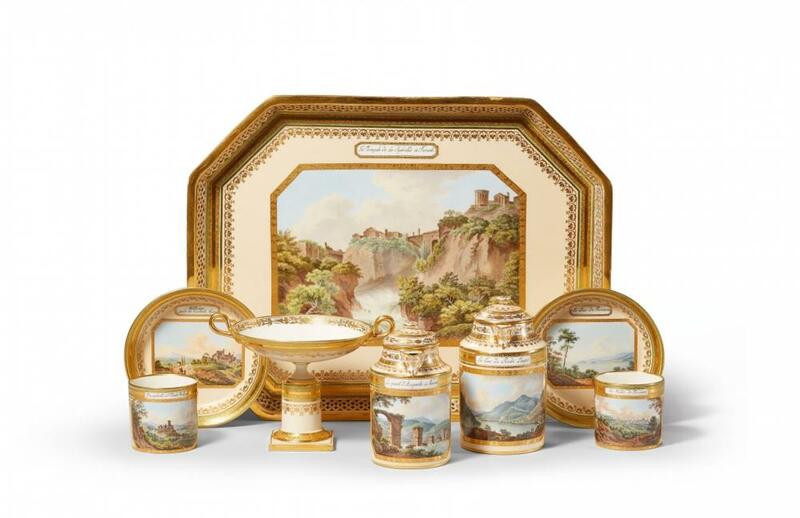 Among the latter, there is a breakfast service decorated with Italian landscapes of the imperial manufacture of Vienna, as well as a vase adorned with a port view, manufactured at the beginning of the 20th century in the factory Copenhagen Bing & Grøndahl. 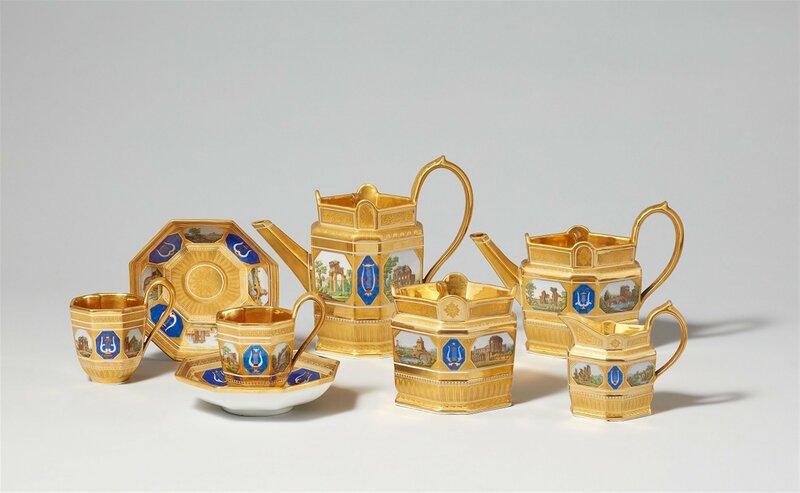 Other highlights include plates of the service Marly d'Or, executed between 1805 and 1814 at the manufacture of Sèvres, also from the collection of Lower Saxony. In addition to porcelain, the auction also features artworks, furniture, glass, and African and Oceanic artefacts. 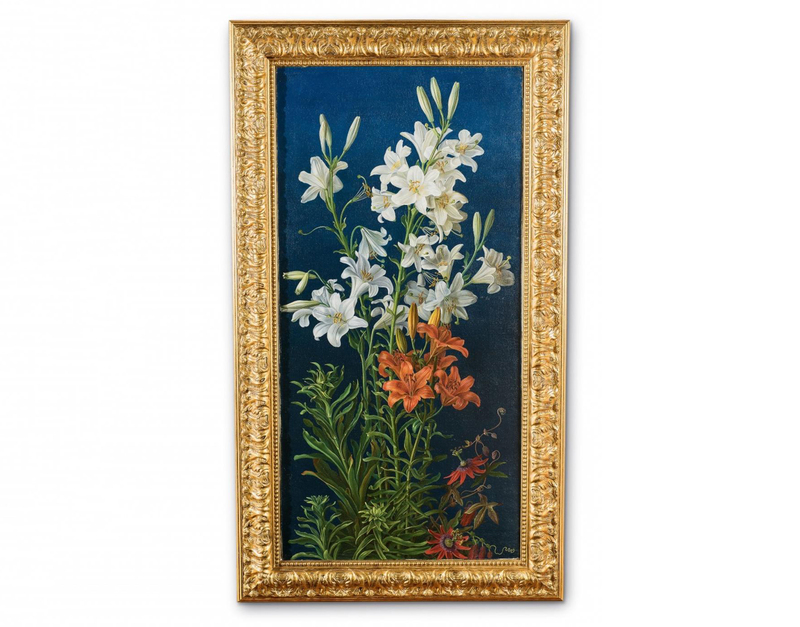 The oil on canvas, Lilies and Fire Lilies Intertwined with Passion Flowers, is signed by Gottfried Wilhelm Völcker, who painted his outstanding still life on both canvas and porcelain. 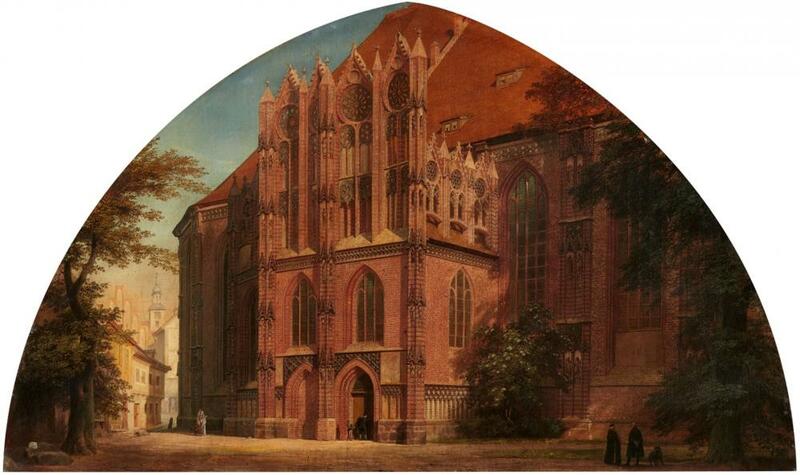 Another painted highlight is this View of St. Catherine of Brandenburg on Havel, completed by Eduard Gaertner in 1868. 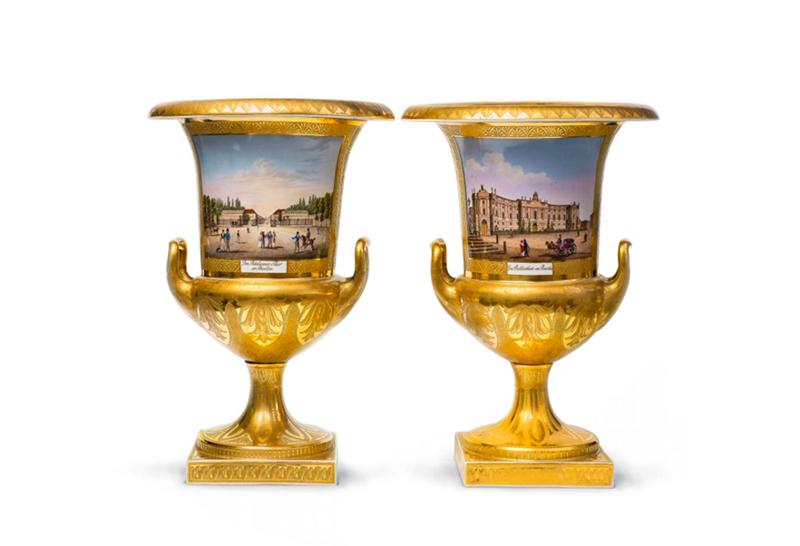 The auction of 6 April will be take place at Lempertz in two stages: the Prussian collection will be up for bids at 11am and will serve as a preface to the sale of the illustrious Twinight collection, scheduled for 5pm. Previews will be open from 30 March to 4 April.